For Seasickness (every love has its landscape), screen prints on stonehenge, 78”x96”, 2018. For Seasickness (every love has its landscape), screen print on stonehenge, 2018. [ ] plunges [ ] head into the clouds, screen print on stonehenge, 2018. Seasickness (part one), digital images from FP-100c, 2018. Seasickness (part two), digital image from FP-100c, 2018. 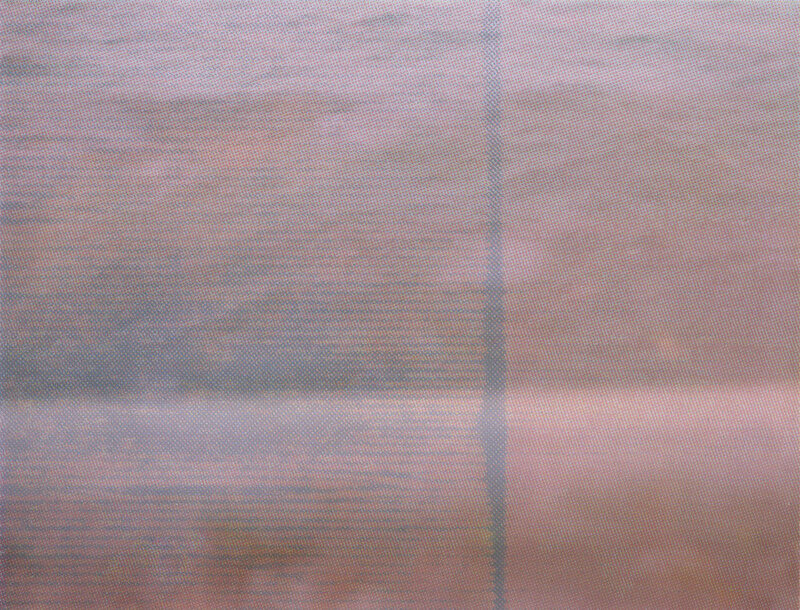 From [this moment of] time, digital image from FP-100c and risograph, 2018. The rest is missing, digital images from FP-100c and risograph, 2018.